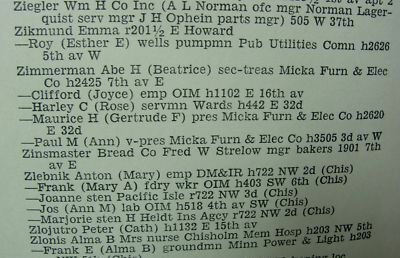 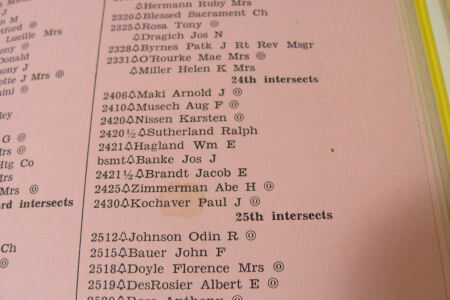 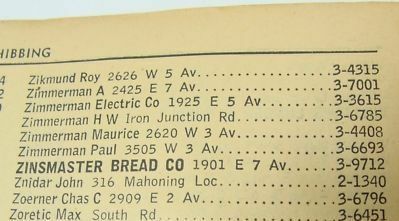 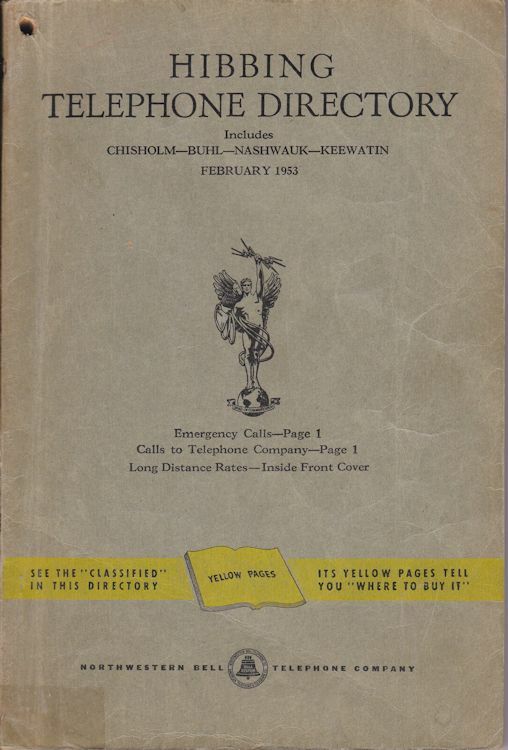 HIBBING, MN 1950's TELEPHONE DIRECTORIES, showing the phone numbers of the Zimmerman family and Micka Furniture & Electric Co., Bob Dylan's father's shop. 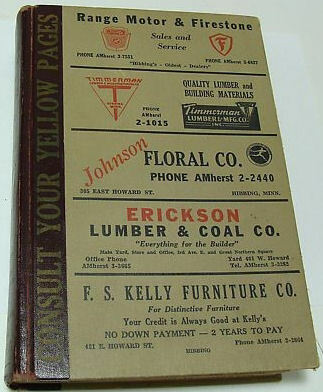 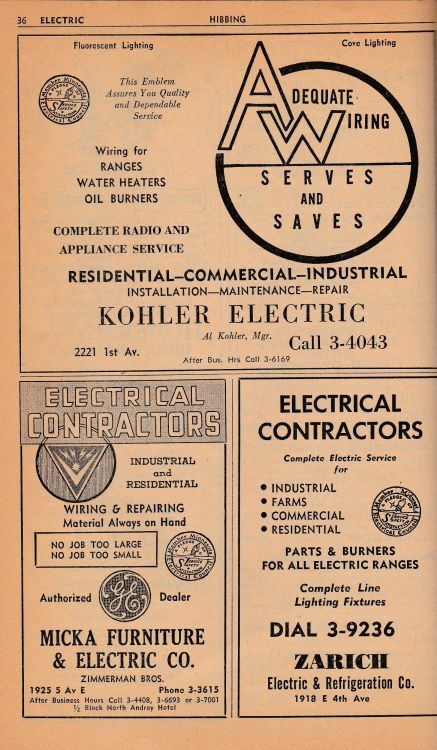 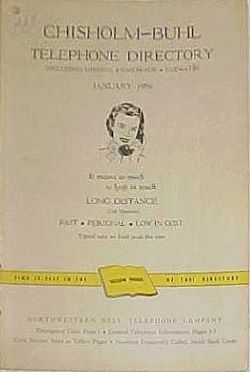 1953 Hibbing Yellow Pages with MICKA FURNITURE & ELECTRIC CO (Bob's father shop) advertisement. 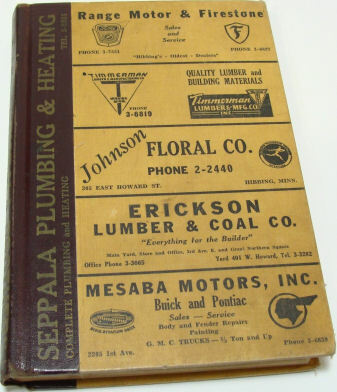 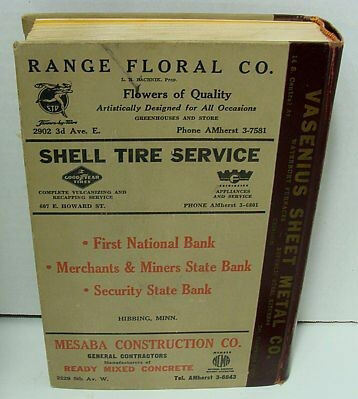 1954 "Northwestern Bell Telephone Co book, 9 1/4" x 6 1/8". 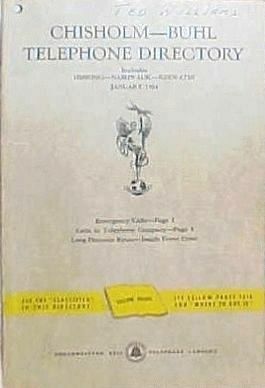 150 pages. 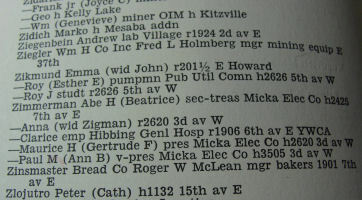 Abe Zimmerman address at 2425 7th avenue east Hibbing, Minnesota., where Bob Dylan lived at that time with his family. 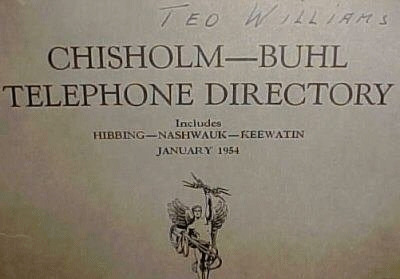 Has numbers for Buhl, Chisholm, Kinney, Hibbing, Keewatin Nashwauk and Pengilly. 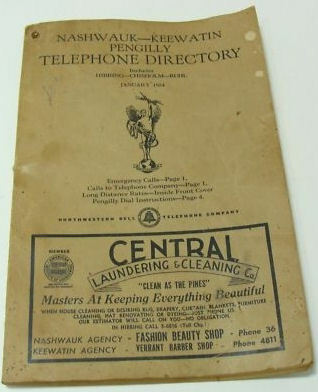 Has local advertising and business section".